Double the storage space in your existing buildings. 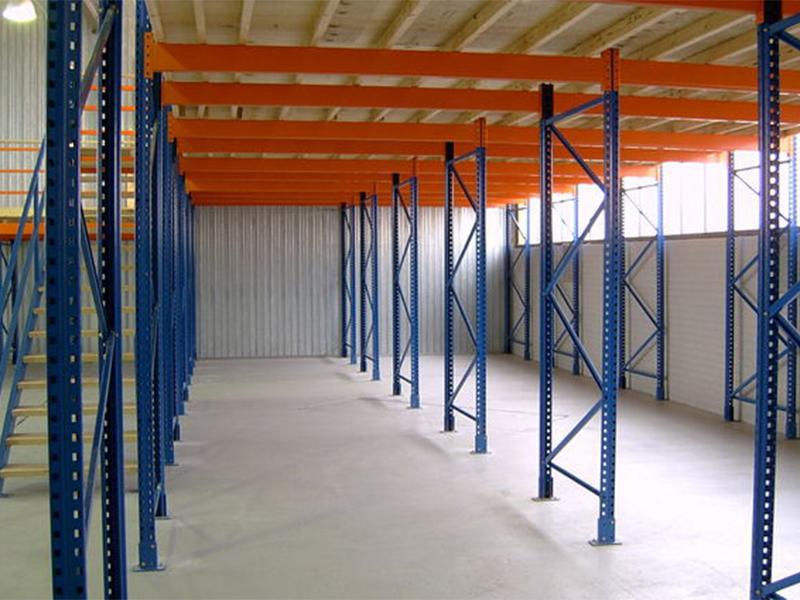 Whilst increasing your existing floor area, mezzanine flooring can be equipped with shelves and aisles to suit your storage needs. Shelves are available in a range of short, medium and long spans and narrow and extra wide depths. Shelf decking materials includes timber, steel and mesh. 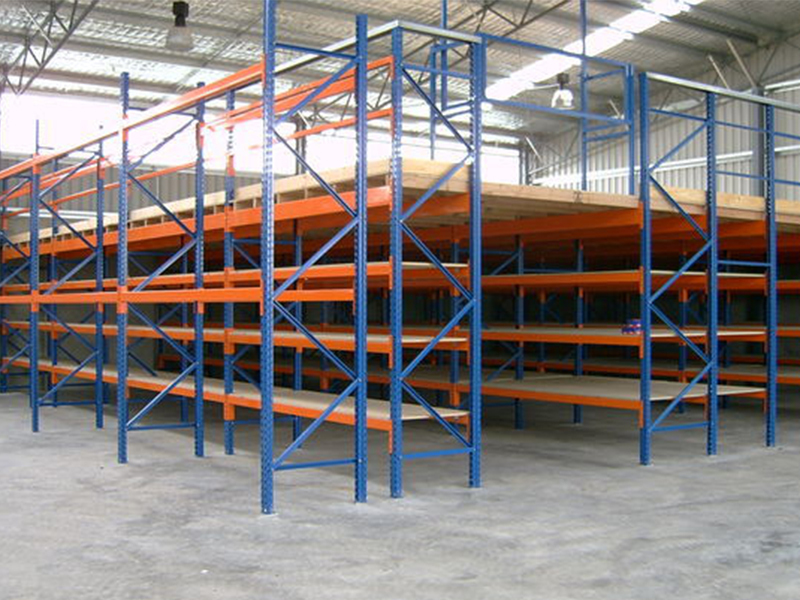 No property is too large or difficult for us when it comes to warehouse mezzanine floors, and we are able to offer warehouse shelving and flooring solutions as well. Whilst a raised storage area is manufactured and constructed to your specific requirements, the structure is of a bolted steel construction, enabling easy extension, reengineering or relocation with significant cost savings. All of our units are engineered to the highest structural standards using high grade steel with compliance to regulations. All perimeter areas of a raised storage area are fitted with safety rails. Our staircases are designed to suit floor heights and required widths, whilst complying with regulations. Tread boards can be provided in solid steel, grating or timber. Steel gates are available for forklift loading of the upper level. Gate positions are carefully planned to ensure safety and easy access. Incline conveyors can also be bought to enable the rapid feeding of goods to and from the upper level. 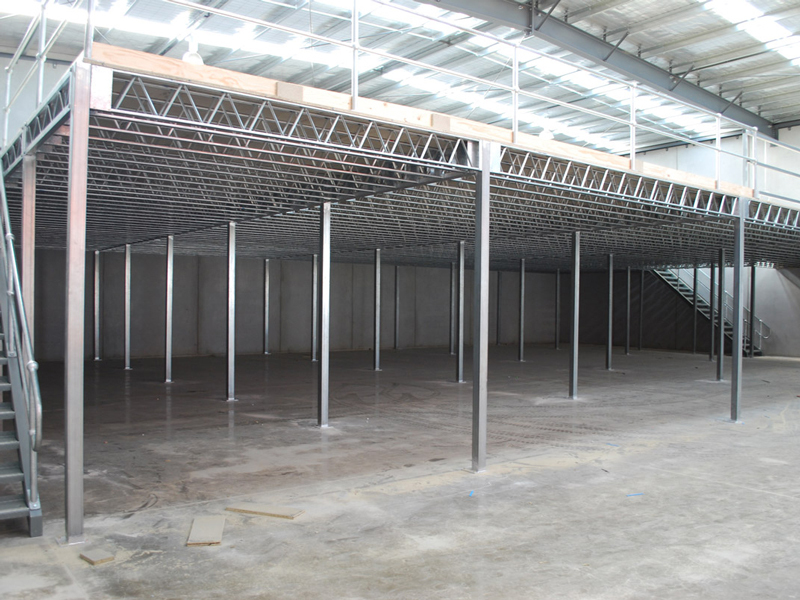 Why mezzanine floors for your business? Our Mezzanine Floors are available in multi-tier systems that can increase storage areas up to 300%, within the same rented floor area. These units can be one of your assets and not part of your rent. They are depreciable, yet never wear out and last a lifetime and, can be moved if ever needed. Increase productivity by reducing travel distance and time by 40% and up to 75% with multi-tiered mezzanine floor systems. At The Storage Centre, we strive to supply carefully engineered shelving products and systems that are in compliance with applicable standards, practical, reliable and safe and offer benefits to our valued customers. Contact our Melbourne showroom on 1300 788 916 to learn more about this fantastic product.